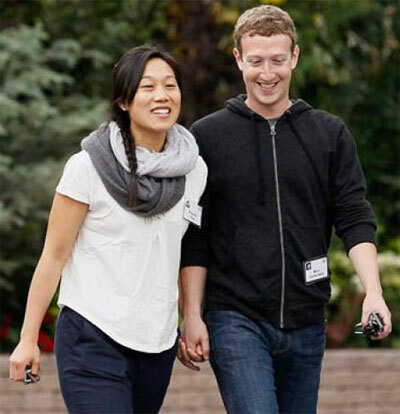 Rediff.com » Business » Zuckerberg and wife have their hearts in the right place! Zuckerberg and wife have their hearts in the right place! Facebook CEO Mark Zuckerberg and his wife Priscilla Chan will spend $3 billion over the next ten years on their ambitious goal aimed at helping to eradicate all diseases by the end of this century. 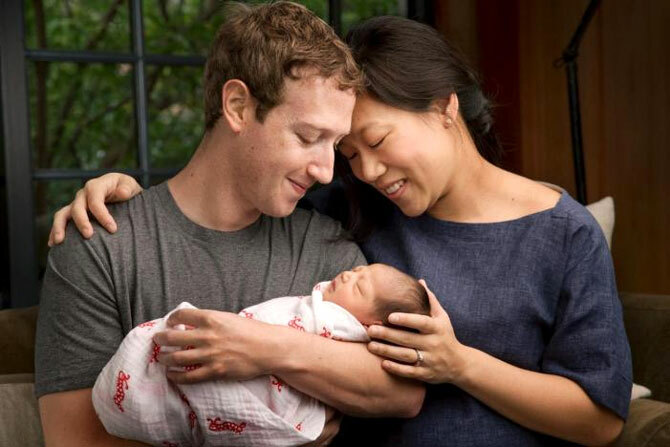 The goal is to "work together to cure, prevent or manage all diseases within our children's lifetime," Chan, who is a pediatrician, said during an event in San Francisco for the Chan Zuckerberg Initiative, the couple's philanthropic group. Speaking through tears, Chan recalled telling parents their child had an incurable disease or could not be revived, experiences she said made her even more determined to work with scientists and engineers to build new tools that can save lives by the end of the century. The investments will include creating research tools - from software to hardware to yet-undiscovered techniques - they hope will ultimately lead to scientific breakthroughs, the way the microscope and DNA sequencing have in the past. Zuckerberg, 32, said the initiative was to "make a better future for our children." The couple spoke one after the other at the UCSF Mission Bay campus to unveil the next phase of the Chan Zuckerberg Initiative, their new LLC created with the sole purpose of giving away billions and billions of dollars over their lifetimes. "The biggest breakthroughs take many years. This is about the future we all want for our children. If there's even a chance that we can help cure all diseases in our children's lifetime ... then we're going to do our part," Zuckerberg said. Laying out the general framework for their plan, the couple made a commitment to invest $3 billion over the next decade toward disease prevention and research initiatives, starting with a $600 million investment for a new research facility called the Chan Zuckerberg Biohub in San Francisco. The facility is some kind of joint partnership among three Bay Area universities: UCSF, Stanford and the University of California. They said the goal would require three areas of focus - bringing scientists and engineers together, more collaboration in the field of science and building tools, more advanced technology, growing the movement and more funding for other projects. The Biohub is the first major investment from the couple, who announced last December that they would give away 99 per cent of their wealth. "The Chan Zuckerberg Initiative is already doing some very promising work in improving the education of all students. It's amazing they are taking on another bold challenge," said Microsoft founder-turned-philanthropist Bill Gates, whom Zuckerberg described as a "role model and mentor". "We cannot end these diseases with the tools we have today. Only through science can we get an HIV vaccine, a malaria vaccine," said Gates, who has been flexing his philanthropic muscles by funding projects to tackle malaria and HIV through the Bill and Melinda Gates Foundation for the last 15 years. "I am so impressed with the team that's been pulled together here. I have no doubt that we'll make great progress on these diseases and literally save millions of lives and make the world a better place," he said.